Enter the Initial you would like to have hand-stamped on the optional heart-shaped charm below. You may also include it in Note to Seller when checking out. 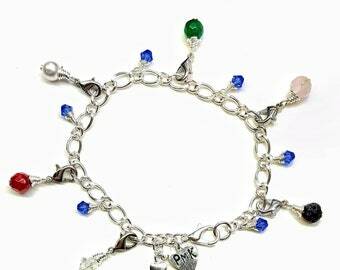 Silver Plated Purity Charm Bracelet is a tangible tool for teaching girls their worth. Wearing it encourages self-respect which demands others respect them as well. 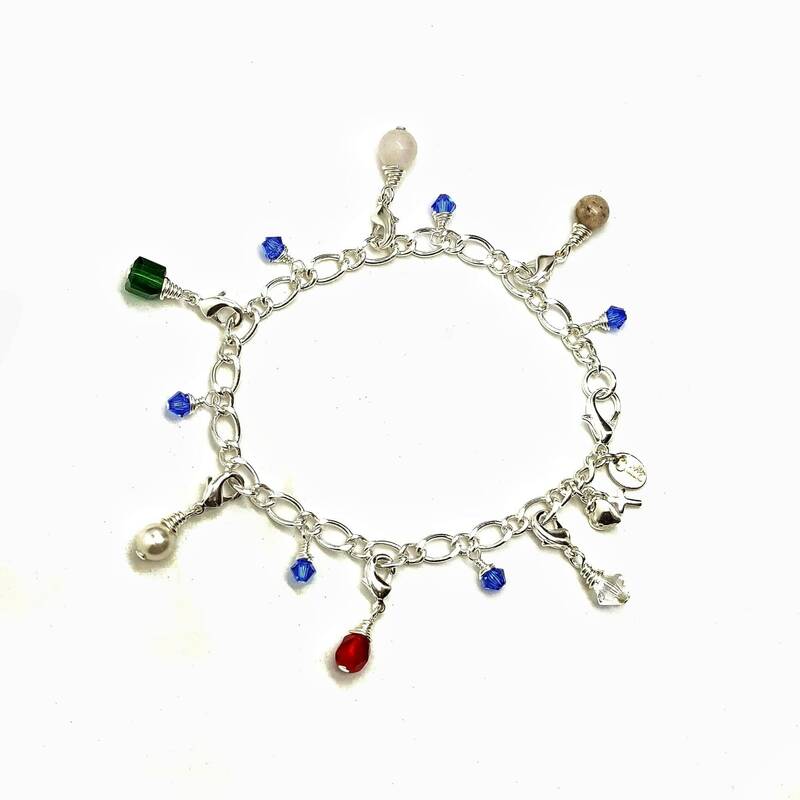 Your Silver Plated Purity Charm Bracelet will be made to order just for you. 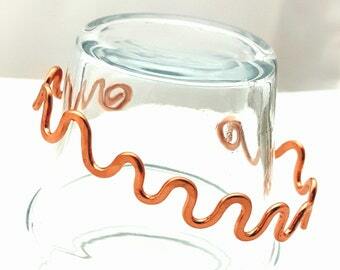 Your bracelet will look very similar to the bracelet pictured in this listing but will have slight variations, as each is made by hand. 💖NEW! Optional Handstamped Initial Charm can be added to your bracelet! Contact me if you would like to order more than one size, I will create a custom listing for you, price tier available when ordering 4 or more of this design. To get the size needed measure wrist with seamstress tape then add half to one inch depending on how loose the wearer likes chain bracelets. For your convenience, a copy of the story and a card with the meaning behind the charms will be included with your bracelet, along with instructions on how to care for it to keep it looking new longer. 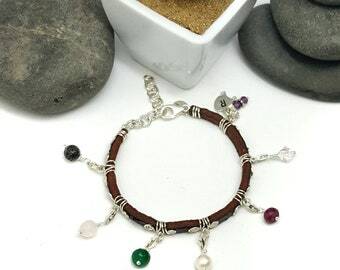 The charm bracelet is made using silver plated base metal chain, gemstones, and glass beads. In the story, a 16 yr old girl is given a special charm bracelet by her parents. 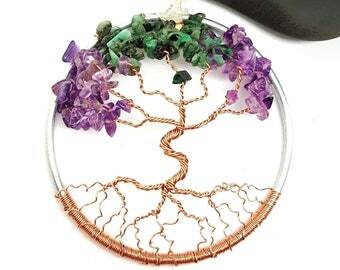 It has a variety of 6 precious and non-precious gemstones on it each with a different meaning. ❤️The second is a piece of Rose Quartz to be given to the boy she gives the first kiss to. ❤️The gemstones are interspersed with small Sapphires, that represent her parents and Gods constant unconditional love for her. This is a tangible way to teach daughters that what they have is of value and to be cherished. Their "charms" are very precious, and they should be mindful of whom they are giving them to. Will that boy cherish them the way they deserve? The hope is that it will be the same boy who receives all of the charms, and that will happen on the day he marries the girl with the bracelet. Apply today to become a VIP Tree Club and enjoy member-only 30% savings on all your orders, starting with the very first one.